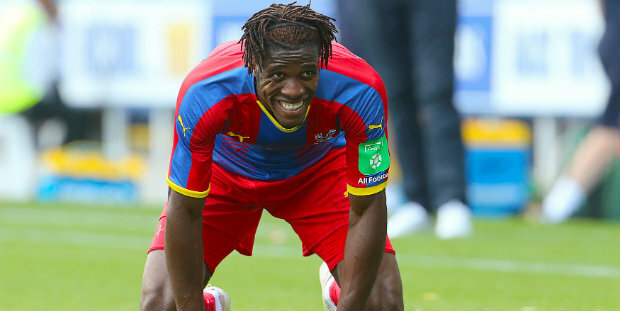 Crystal Palace manager Roy Hodgson has dismissed reports linking Wilfried Zaha with a transfer to Borussia Dortmund, insisting there has been no contact between the two clubs. The future of their most influential player had appeared settled when he signed a new contract at the start of this season until 2023, but amid Dortmund’s sale of Christian Pulisic to Chelsea the Bundesliga leaders are credited with considering him a potential replacement. It is in the final third where Hodgson hopes to strengthen his team – Bakary Sako is close to concluding a return to the club – so the loss of his finest player would significantly disrupt his plans. To that end, Everton’s Cenk Tosun has been linked with a loan move to Selhurst Park following the collapse of a similar bid for Dominic Solanke, but Hodgson also refused to discuss any potential interest in him. “There has been no dialogue whatsoever between Borussia Dortmund and Crystal Palace,” the 71-year-old said. “Wilf signed a long-term contract with Crystal Palace. He’s very much our player. “I’m (also) not prepared to talk about any individual players (like Tosun) because we could be here all afternoon if I was supposed to take notice of every player we’re supposedly interested in. “We have two players coming back from long-term injuries. Connor Wickham, after two years’ absence, and Christian Benteke coming back from a serious operation. We don’t know how long it will take before he is back to the player we know he can be, so we don’t have an awful lot of attacking options. Be the first to comment on "Hodgson rubbishes talk of Zaha joining Dortmund"